The Napa Valley is an appellation, which means that the climate and terrain have a distinct impact on grapes grown here causing certain characteristics to shine through, compared to grapes grown elsewhere in the world. The wines made from grapes grown here are internationally admired, and this is a great place to come wine tasting and have some fun. In addition to all of Napa Valley being an appellation, there are actually 15 other subappellations within the valley as well. If you read below, you will see our favorite wine tasting rooms and food destinations in the city of Napa, as well as two appellations, Mount Veeder and the Oak Knoll District. Falcor – One of several tasting rooms in Napa’s Corporate Park at the south end of the city, this winery and tasting salon also offers a food and wine pairing with 48 hours’ notice. We really like their Trosseau Gris, Sauvignon Blanc, and their Bordeaux-style blend Le Bijou. 2511 Napa Valley Corporate Drive, Suite 115 (888) 402-9463. Mount Veeder Appellation Council – Association of wineries and growers in the Mount Veeder AVA. 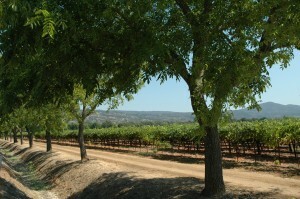 Napa Valley Vintners – Trade association promoting the Napa Valley appellation as the premiere winegrowing region.